ANC6E is a DC government chartered neighborhood association serving the Shaw and Convention Center neighborhoods of Washington DC. ANC6E needed a way to better reach and communicate with their constituents. The existing template blog was not cutting it. 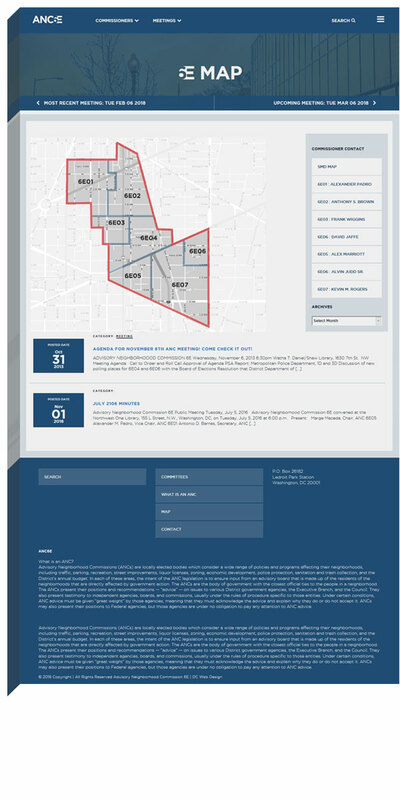 ANC6E could not effectively communicate with the simplicity a blog had to offer. 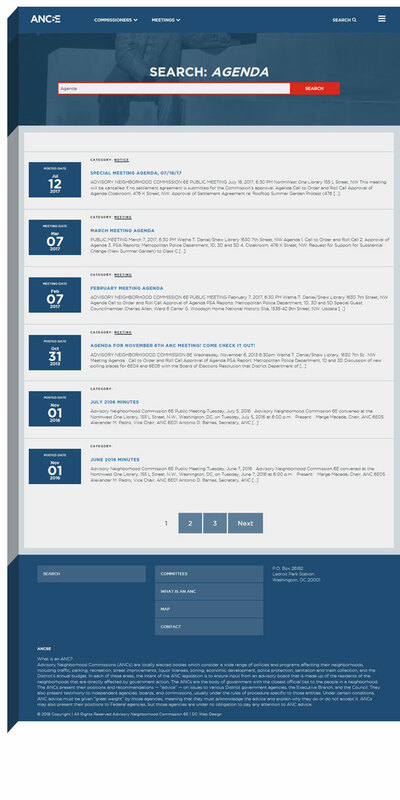 What they needed was a comprehensive CMS, custom designed to organize and update their meetings, document archive search, commissioner contact information, notices, calendar, interactive SMD map, social media feeds, and more. The key objective of the redesign was communication. 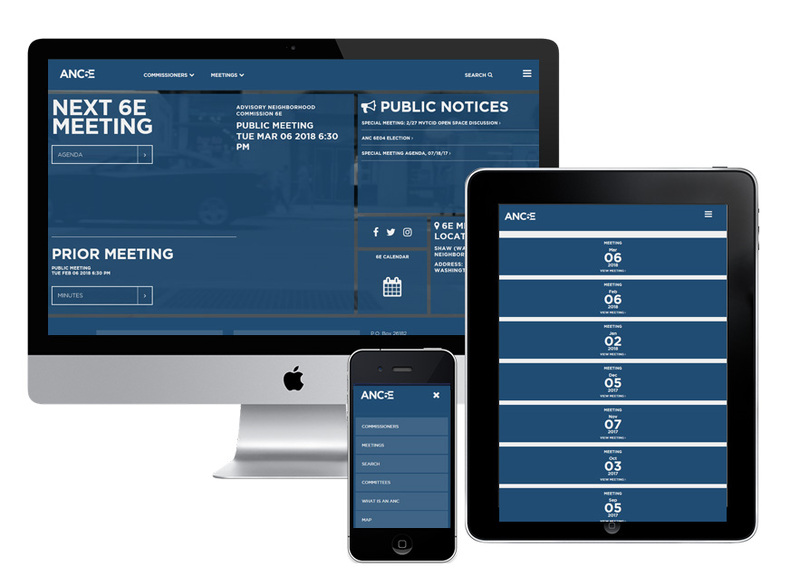 With a strong background providing web design in DC for government clients, 80Port created a responsive website that specifically addresses the needs of the constituents and neighborhood of ANC6E. 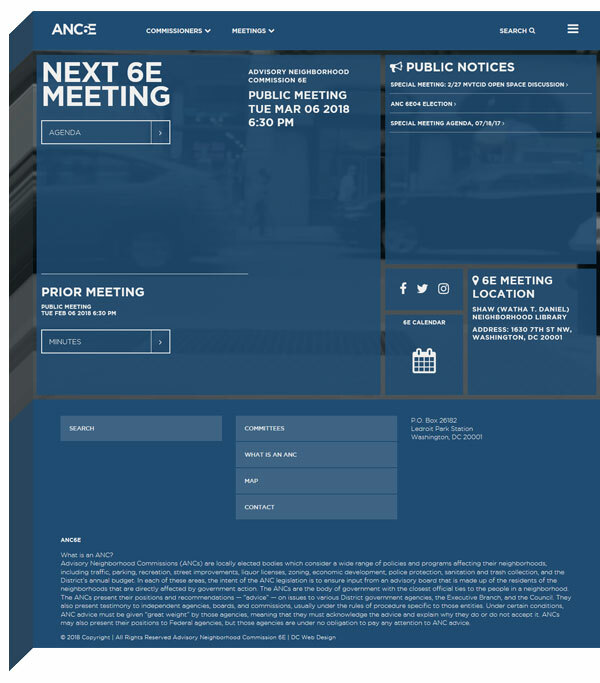 80Port designed a wordpress website that makes navigating 6E communications touchpoints easy on any device. A new logo and branding gave 6E an identity to connect with the neighborhood. 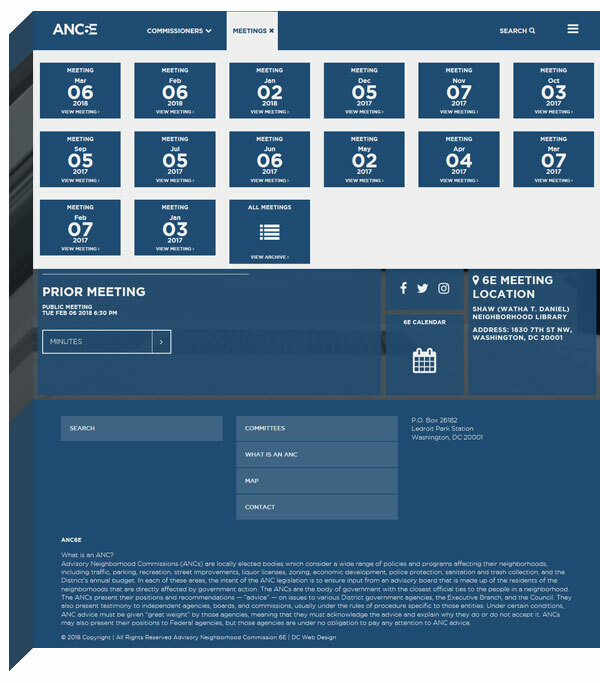 Together with the commissioners, we built an eye-catching and user-friendly website custom made for communication. ANC6E - 80Port web design agency in DC is a full service marketing and digital design agency. We provide custom web design for Washington DC Area startups and established corporate clients. We dive into your goals to devise an engaging experience for your target market. Our clients are our partners. We build relationships that last from conception of a project to reflection and measuring results. We believe that this is the only path to success - to follow a process designed to fulfill your expectations and create an immersive experience for your audience. Project success doesn't happen by accident. It requires a disciplined process with a focus on key objectives. We take the time to get to know you, to know your audience and to understand what we want your audience to do.